The Law of Attraction states that your mind creates your own reality. If we charge up certain thought-forms continuously with energies, it will attract and manifest that into our life. Unfortunately 99% of the earth’s population thinks with negative programmes and limiting beliefs and this creates much suffering in their lives. In order to align back to our pure Soul and God essence it is essential to clear the limiting beliefs and programmes and replace them with positive ones. In this Law of Attraction Chart series, we will focus on how to identify negative thought-forms in our subconscious mind by using a pendulum and divinity chart. We can also find out which positive beliefs need to be cultivated further within our belief system. How to use Law of Attraction Divinity Pendulum Chart Series? Sometimes we may feel that God has abandoned us in the physical world. We may even think that it is impossible to be with God. This kind of limiting beliefs in our mind will simply block us from realigning our true self with God. Higher Self, which positive belief on spirituality can I cultivate further in my consciousness? Do you fear speaking the truth in front of people? Do you have thoughts of being undeserving of abundance? Do you feel that you are not good enough to be loved? Do you doubt your work capabilities? Do you feel that you can’t handle a work or project well? Are you fearful of getting what you want in life? The lack of self esteem is usually caused by erroneous and incorrect programming and beliefs that one holds on to, which cause us to limit our true potentials. If we have self esteem issues, these will undoubtedly block our path to success in life. Higher Self, which positive belief on self-esteem can I cultivate further in my consciousness? Creativity is not just limited to artists or musicians. It is really a form of divine intelligence that is available to every living being. We create our lives every day. Whether one is an artist, teacher, trader, businessmen or cashier every one of us has our own talents and abilities to create the life we desire. Most of us have been programmed by our parents, family and society with limiting beliefs that prevent us from reaching our potential. For example, we may have retained memories of our parents or teacher saying that we are stupid. Thus, this negative belief which has stayed in our subconscious became a strong unconscious belief that limited our inner potential until today. Higher Self, which positive belief on creativity do I need to cultivate more in my consciousness? Personal relationship is always the main issue for so many of us. We tend to seek love from the external environment instead of looking inwardly. We need to understand that we can never attract love and harmony to our relationships if our mind is full of negative beliefs. The only way to true love is to work on ourselves first. If we are able to shift our thought forms from fear based to love based, we will naturally attract those with similar vibration to us, easily and effortlessly. Higher Self, which positive relationship and love belief can I cultivate further in my consciousness? How often do we pay attention to our physical body? Have we thought about how hard the physical body works every second and minute of the day, to ensure that we have good health to live our life? How often do we thank our body with gratitude for enabling us to move and express ourselves with ease? Do we say “I love you” often enough to the physical body? If we want to create better health conditions, we must infuse our mind with positive thoughts, beliefs and feelings towards our body. If our minds think negatively, for example, when we are constantly worried about our health and in constant fear of doom or ill, our bodies will take it literally (as how we are thinking) to mean that this is how we want our bodies to be. The body will then create this causing even more burden and negative energy which affects our health dramatically. Higher Self, which positive health belief can I cultivate further in my consciousness? A most common issue amongst many is the issue of lack – with money. 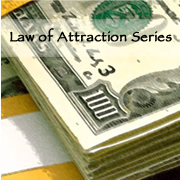 If one is experiencing that and difficulties in manifesting money and abundance in life, we need to look into the possibilities of having underlying and hidden negative beliefs and programming about money, either consciously or subconsciously. We then need to address the blocks generated by the fears from these beliefs and programming within the mind. We shall work to release these so that we can truly manifest what we want in our life. Each of the charts list different negative beliefs that may block us from further cultivating money and abundance in our life. We are able to use these divinity charts to help us identify what negative money beliefs are residing within the sub-conscious mind that are blocking us from realizing the manifestation of money and prosperity. Higher Self, which negative money belief in this chart is blocking me from cultivating the highest potential in my consciousness? After paying by Credit Card you will be receive an download email link to download the divinity pendulum charts immediately. If for some reason you are not able to receive the email, please check your junk email folder or send me an email and I will send you the link within 24hours of purchase.